In all our grantmaking, we give priority to supporting organizations that use community organizing as a primary strategy for effecting change. Geographically, we focus on New England, although some grants are made to national organizations and organizations based in other parts of the country. Click here to review a listing of our grants. For more information about our mission and focus, click here. 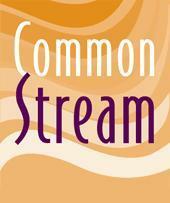 Please note: Common Stream does not accept unsolicited funding proposals. We invite funding requests from organizations that we identify as matching our interests and criteria.